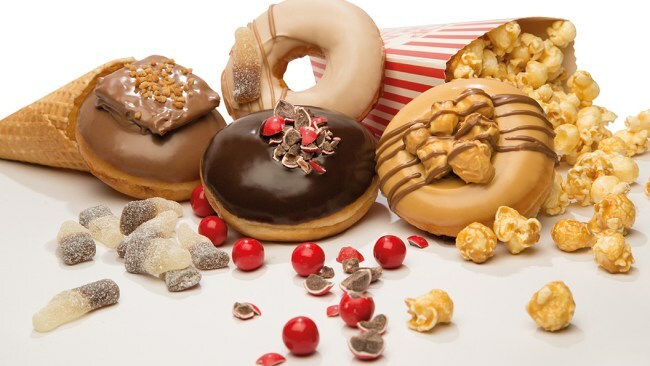 Inspired by the classic flavours of the cinema, to accompany the blockbuster flavours for your tastebuds, Krispy Kreme created a blockbuster movie that could match! This epic sci-fi inspired Virtual Reality 360 vision of the cinema range doughnuts is like no other. Co-directed by multi-award winning animation director and composer Evan Viera and Alan Dickson of Yukfoo Animation. The action-packed film features surround sound and 360 vision of Krispy Kreme Cinema Doughnuts – immerse yourself in a far far away galaxy of deliciousness. 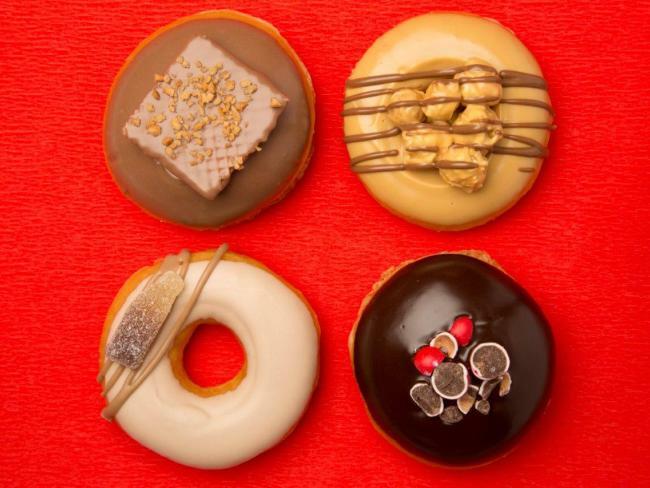 The film, Journey to Glazetopia, stars the four new flavours of doughnuts; Caramel Popcorn, Choc Top, Cola Fizz and Choccy Orange. The new flavours will be available in Krispy Kreme stores, Ubereats, Jesters, and BP Travel Centres until May 1, 2017, order online for delivery until April 28, 2017 and coming soon to 7-Eleven. Get your cinema range Krispy Kreme doughnuts, put on your 3D glasses and enjoy the full sensory experience. Choccy Orange: this timeless combination s a timeless blends citrus flavours with the sweetness of chocolate in a couple of ways, with choc orange-flavoured pieces and a choc-orange whipped crème center. Caramel Popcorn: Dig into the crunch of this ring doughnut topped with indulgent caramel truffle, caramel coated salted popcorn and topped with a choc caramel drizzle. This one is perfect for lovers of the salty sweet combo. Cola Fizz: A ring donut with cola flavoured filling topped with cola flavoured icing, brown drizzle and a sour coke bottle lolly – tastes just like Coca-Cola soft drink. Previous Previous post: Australia’s Magnificent Gay and Lesbian Parade is back; Mardi Gras 2017!